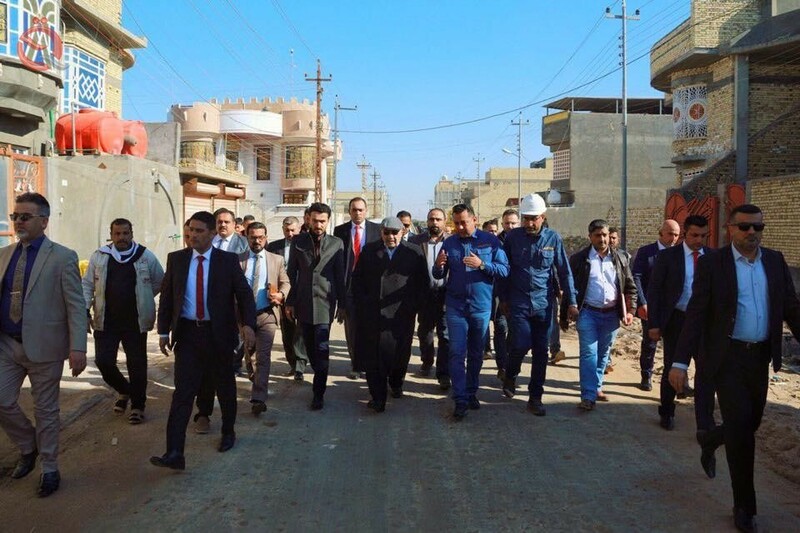 The Prime Minister, Adel Abdul Mahdi, on Sunday, the service projects in the Shatt al-Arab district during his visit to the province of Basra. The media office of Abdul-Mahdi, in a statement received "economy News" a copy of it, "the Prime Minister, Adel Abdul Mahdi, inspected immediately after his arrival in Basra, a number of service projects, and briefed on the progress of work and rates of achievement." The statement added that "the first of his tours included the water and sewage projects in the area of ​​Yassin Khreibt area Kiziza of the Shatt al-Arab." He added that "Abdul-Mahdi listened to a detailed explanation of the work in the service projects designed to provide services to this region and directed to redouble efforts to achieve as soon as possible, and met with a number of citizens of the people of the region."